For his seventh solo studio album the dynamic Italian/Jamaican reggae star Alborosie has teamed up with The Wailers United, an outfit with original members from Bob Marley’s backing band The Wailers, including bass man Aston “Family Man” Barrett and keys maestro Tyrone Downie. Unbreakable also boasts appearances from reggae household names – Kumar Bent from Raging Fyah, Chronixx, Jah Cure, J Boog and Beres Hammond. And they appear on some of the album’s brightest shining moments. The combination with Kumar Bent on a cover of Metallica’s heavy ballad The Unforgiven is just sublime and the positive and up-tempo title track with J Boog singing the chorus hits hard with its infectious horns and catchy whoo-whoo-whoo-whoa. The first single off the album – the superb Chronixx combination Contradiction – addresses the current social and political climate in both Jamaica and abroad with links between they who rule and the bad men. Unbreakable is one of Alborosie’s best albums to date and he manages to make a modern, yet staying close to the foundation, roots rock reggae set with pulsating grooves and memorable melodies. 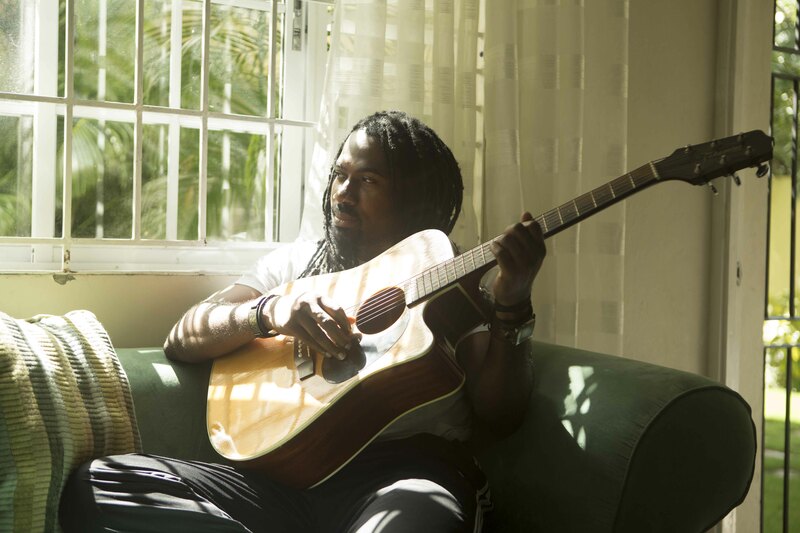 Jamaican singer Hezron dropped his soulful and intimate debut album The Life I Live(d) in late May. As the title suggests it’s an album based on experiences; both his own and from people around him. Reggaemani had a chat with Hezron about his music, his experiences and why he relocated from the U.S. to Jamaica. Hezron Clarke was born in St. James, Jamaica, and developed his singing and talent being a member of the local church choir. He later moved to the U.S. and transitioned into R&B as a young adult. “I did R&B in the U.S., but Jamaica took over,” he explains when I talk to him over Skype from Jamaica where he is doing interviews from Tad’s Record’s office. 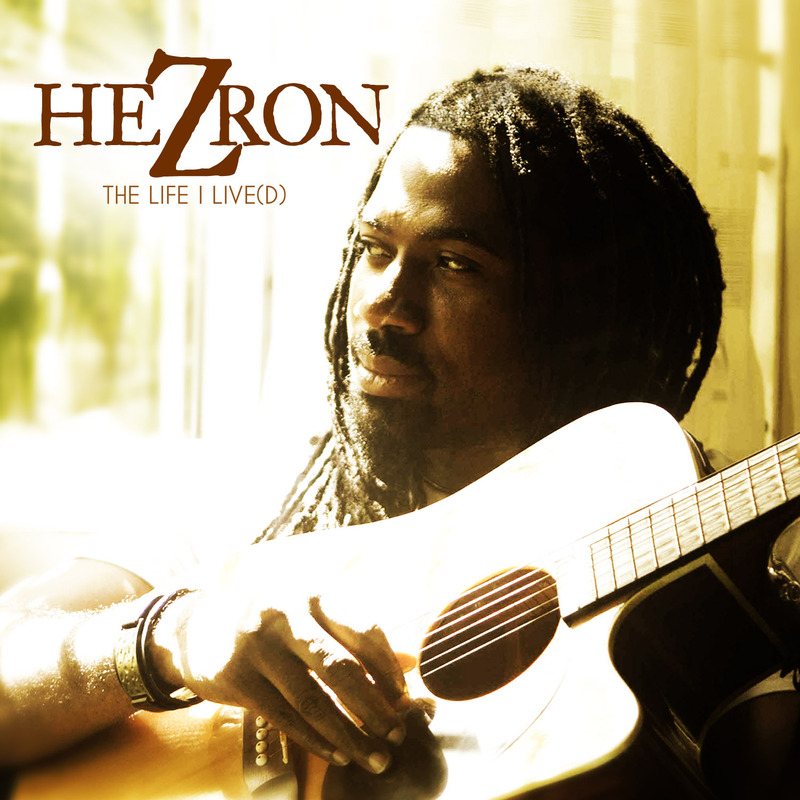 The Life I Lived(d) is Hezron’s debut album, but it sounds remarkably mature thanks to his powerful voice and the skilfully produced riddims . Over the years he has steadily been building a name for himself in Jamaica and abroad through a number of hit songs, including So in Love, Forever and Always and Can’t Come Between. He has also been compared to Jamaican crooner Beres Hammond as well as a highly acclaimed soul singer. “Hezron is one of the most soulful reggae singers in Jamaican history and to me, he is the Teddy Pendergrass of our beloved genre,” says Tad Dawkins, President of Tad’s Record, in a press release. Being compared to these two individuals might come with great obligations, but Hezron is cool and calm. But singing reggae wasn’t always the case for Hezron. He started in the R&B vein after he had migrated to the U.S. to get a better life. “Jamaica is a tough country, and it’s a better living overseas. The U.S. is a first world country, but music called; it was a true calling from Jamaica. It was natural for me to go back, since I grew up in a reggae environment,” says Hezron. He was involved in the local reggae scene when he lived in the U.S – did a few gigs and things. But the scene wasn’t as authentic as the one in Jamaica, so he felt compelled to return to Jamaica to fulfil his destiny as a reggae singer. The Life I Live(d) comes as a double disc with a whopping 26 tracks anchored in reggae’s scorching drum and bass backbeat with an organic and richly textured sound. The lyrics are personal and intimate and deal with love, violence, relationships and poverty. 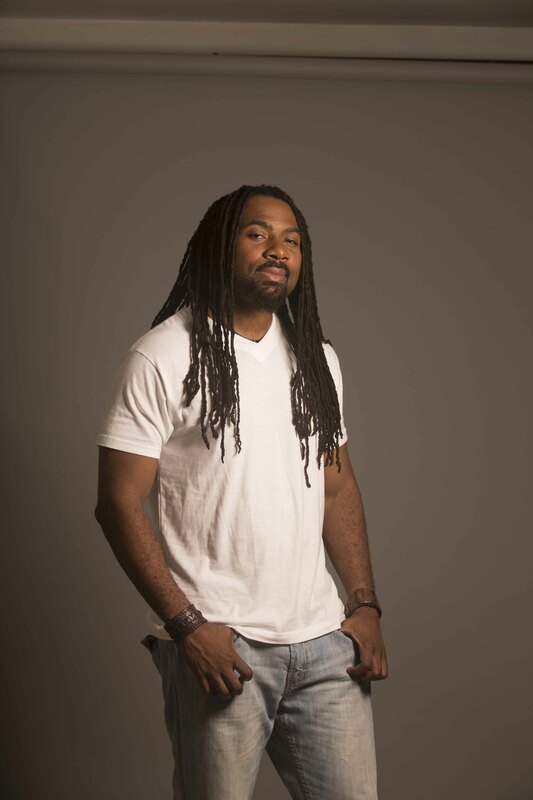 Hezron is dedicated to what he does and is serious about his music, and that is shown on the album, which is carefully produced and well-crafted from start to finish. Music is his life. “It may sound boring, but my life is about music. I go to work and start working. That repeats every day. I practice with my band and it’s all about music. I love it madly. It’s my life,” he says. Hezron describes The Life I Live(d) as his most important experience as a musician yet. It’s his life’s work and a testament that reggae music lives and breathes. Reggae music has over the years often been described as the people’s music. And this is something that Hezron comes back to when discussing his album and his music. “This is the only music that accommodates the stories of people, common man stories. It’s a fight against oppression, but it’s also about love and relationships. And with our music we praise the Almighty. Reggae accommodates everything and it make you dance. That’s why I love it,” concludes Hezron. A new compilation from reggae powerhouse VP Records celebrates the kinship and inspiration that Africa has given reggae music. Some of the industry’s greatest voices and biggest artists pay tribute on Reggae Loves Africa, a twelve track collection including classic cuts with themes of liberation and repatriation sung by the likes of Buju Banton, Warrior King, Queen Ifrica, Luciano, Freddie McGregor, Beres Hammond, Dennis Brown and Tarrus Riley. 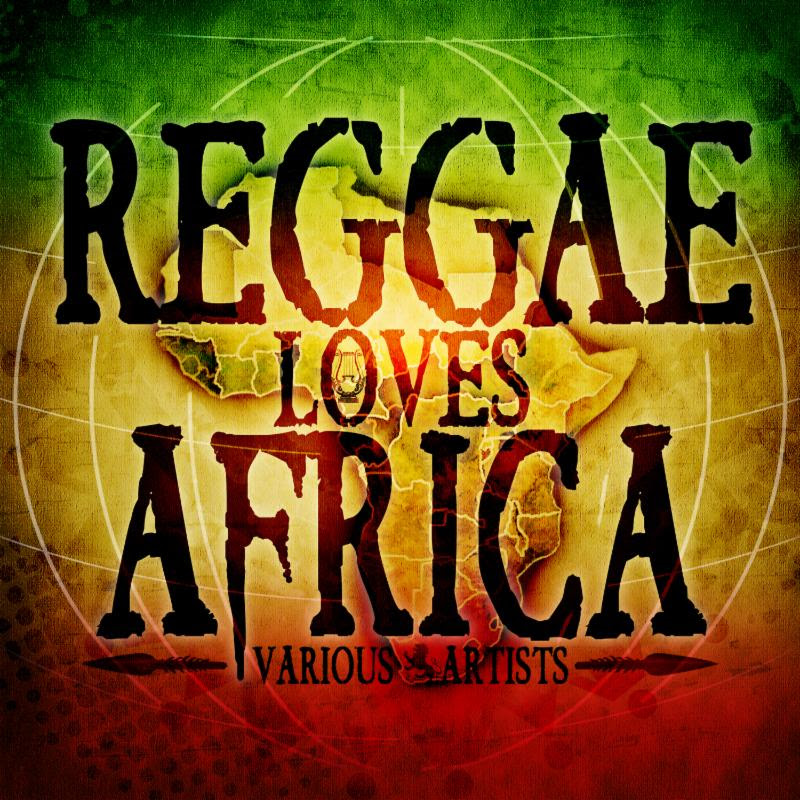 Reggae Loves Africa presents Africa’s history and its modern day struggles. It’s conscious reggae with messages of upliftment and hope. It drops in the UK on July 14 and the rest of Europe on July 20, not including France though, where fans have to wait until August 25. Maxi Priest is an extremely successful British reggae artist with over 15 million sold albums worldwide, a number one hit on Billboard and a Grammy nomination under his belt. 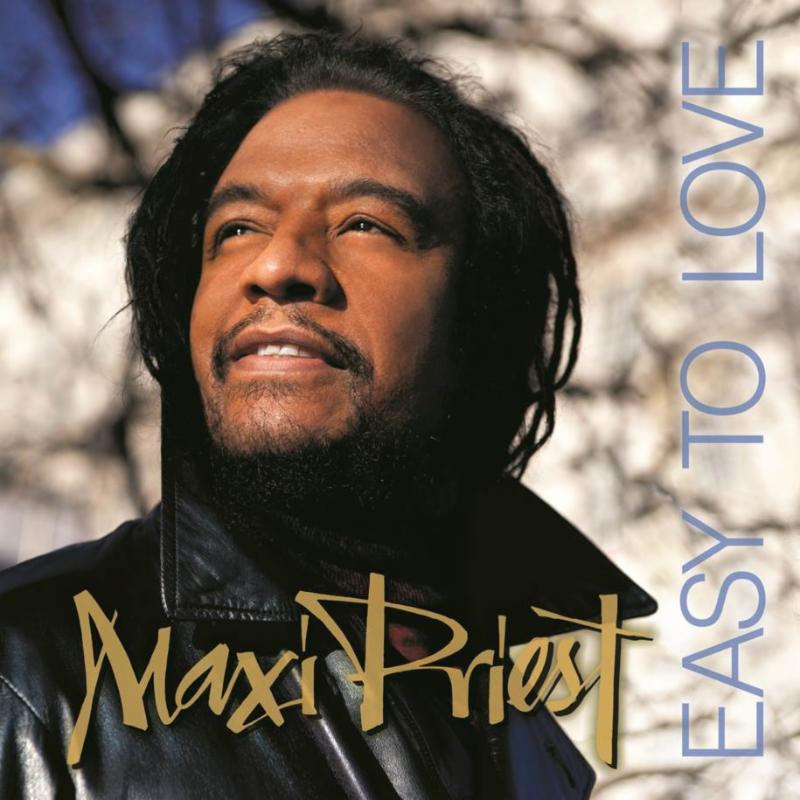 He has kept a low profile for a while, but now he’s back with a brand new studio album titled Easy to Love, available on June 10th in the U.S., June 16th in the UK, June 30th in France and June 20th in the rest of Europe. “This album is about time, and a moment,” says Maxi Priest in a press release. The new album collects eleven tracks and a combination with no other than lovers rock maestro Beres Hammond and dancehall don Agent Sasco. In a press release the album is described as sophisticated lovers rock and an effortless blend of reggae, R&B and dancehall, as shown on lead single Easy to Love, which reached number one on reggae charts last summer. The title track features legendary drum and bass twins Sly & Robbie, who’ve played on some of Maxi Priest’s biggest hits, including Wild World, Some Guys Have All The Luck and the monster hit Close To You. The title track also comes with a wicked remix featuring rising UK dancehall deejay Stylo G.
So the time has come for the much discussed Grammy nominations and yesterday the nominations for the 56th Grammy Awards were announced by The Recording Academy. Jay Z tops the nominations with nine; Kendrick Lamar, Macklemore & Ryan Lewis, Justin Timberlake and Pharrell Williams each garner seven nods. For the reggae genre, five artists fight for the lustrous award – Beres Hammond and his double disc One Love, One Life, Ziggy Marley and his live album Ziggy Marley in Concert, Sizzla and his The Messiah, Sly & Robbie and their Reggae Connection and Snoop Lion – as Snoop Dogg labeled himself at the time – Reincarnated. Pick of the bunch is by no competition Beres Hammond. Second, and far from the top spot, is the surprisingly strong Reincarnated. As usual I would have presented a rather different list of nominations, and I’m not surprised a Marley had to be thrown into the list. But for the bigger artist albums of the year I’m surprised that Etana’s Better Tomorrow and Shaggy & Sly & Robbie’s Out of Many, One Music did not make the final cut. 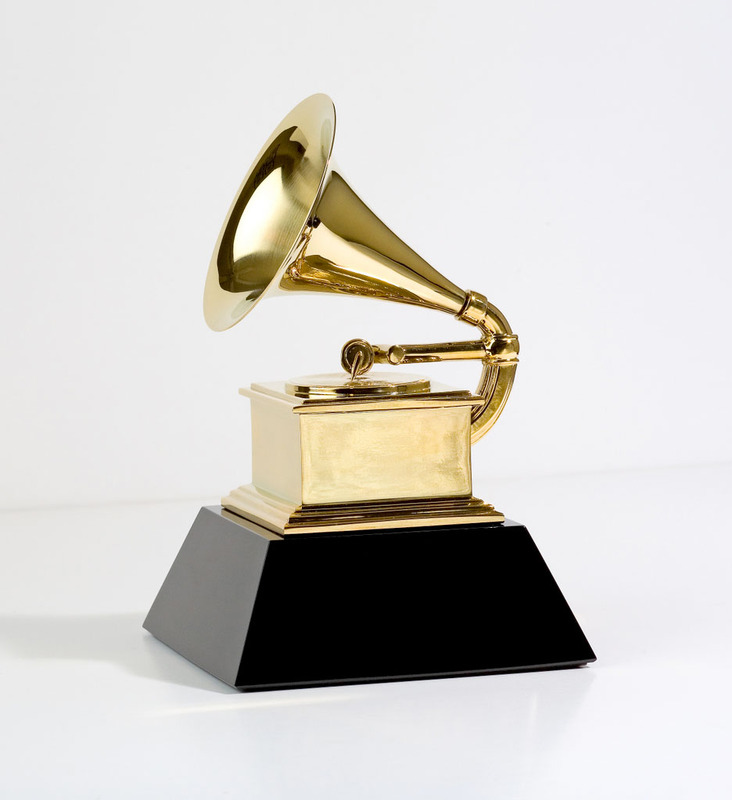 The Grammy process this time registered more than 22,000 submissions over a 12-month period ranging from October 1, 2012, to September 30, 2013. The Grammy Awards will be held on January 26, 2014. New York City global hit maker Shaggy has for his latest album Out of Many, One Music teamed up with successful production duo and riddim section Sly & Robbie along with Steven “Lenky” Marsden, probably best known for being the mastermind behind Sean Paul’s smash hit Get Busy. The title of the album is a wordplay with Jamaica’s motto “out of many one people” and the 13 track set collects no less than 13 guest artists, including both reggae and R&B singers, for example Ne-Yo, Damian Marley, Tarrus Riley, Chronixx, Konshens, Beres Hammond and Tessanne Chin. An all-star cast to say the least. Out of Many, One Music collects – just as Bitty McLean’s latest album – a number of familiar and vintage Sly & Robbie riddims, but also a few blistering ska blasters. But overall it’s contemporary rub-a-dub with retro sound effects, live horns and bubbling bass lines. A late at night feeling is present on several tracks. On songs like All We Need is Love, Fight This Feeling and You Girl you’ll get an urge to slow whine your waist and rub shoulders all night long. The strongest cut is however the slightly more up-tempo Deadly Love. This moody minor key masterpiece features impressive tongue twisting from Shaggy and his vocal interplay with Tessanne Chin and Peetah Morgan is brilliant. 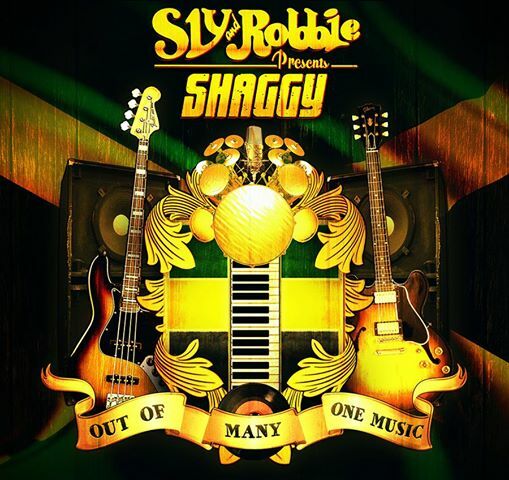 Out of Many, One Music doesn’t have any monster hits like It Wasn’t Me, Boombastic or Oh Carolina, but it’s one of Shaggy’s most authentic reggae oriented albums yet and an impressively cohesive effort. It will certainly rock dancehalls from the Caribbean and the U.S. via Europe and Africa to Asia and Australia. 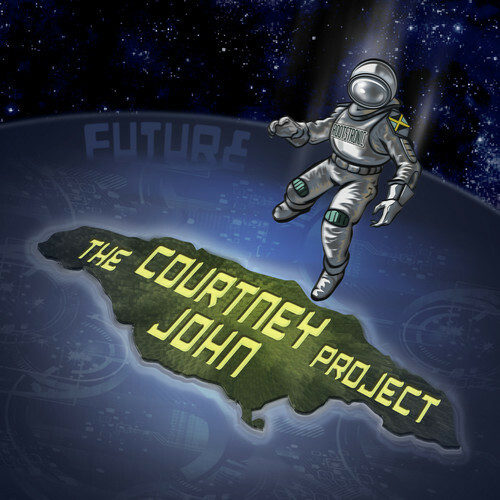 I’ve recently spent some time listening to The Courtney John Project’s hard-hitting debut album Future. And if someone told me that this album was the work of smooth falsetto singer Courtney John and lovers rock giant Beres Hammond’s daughter The Wizard, I’d tell him or her to get the hell out of here. But this dubstep-flavored album is made by these two masterminds together with Grammy Award winning instrumentalist Steven “Lenky” Marsden, the one responsible for the ground-breaking Diwali riddim a few years back. This hypnotic album showcases what the members describe as a brand new genre called rootstronic. It’s a little bit of everything with pounding drums and heavy bass lines – dub, roots, electronica, grime and hip-hop. Future sounds like it has been produced and recorded in an abandoned industrial building in central Kingston. The beats are grim and intense with bodybuilders beating the drums and hitting the bass with sheer power. It’s the evil and lost soundtrack to movies such as The Matrix and Blade Runner. It is the future. The ethereal voices of Courtney John and The Wizard echo between the thick walls of sound. Their version of Errol Dunkley’s Black Cinderella is a stroke of genius and so are the two cuts that use the haunting organ from the immortal Truths and Rights riddim and the schizophrenic Very Special with its bombastic tom-tom drums taken from the battlefields in Lord of the Rings. Think that there isn’t any experimental and innovative music coming from Jamaica anymore? That all music from Jamaica is about chanting down Babylon or showing off a brand new Benz or Beamer? Think again. When you’ve listened to Future you’ll feel like you’ve been run over by a train. To be honest, it wasn’t instant love for me. But then again, the future is usually intimidating. You need to get acclimatized and then you’ll learn to understand its beauty and truly appreciate it. 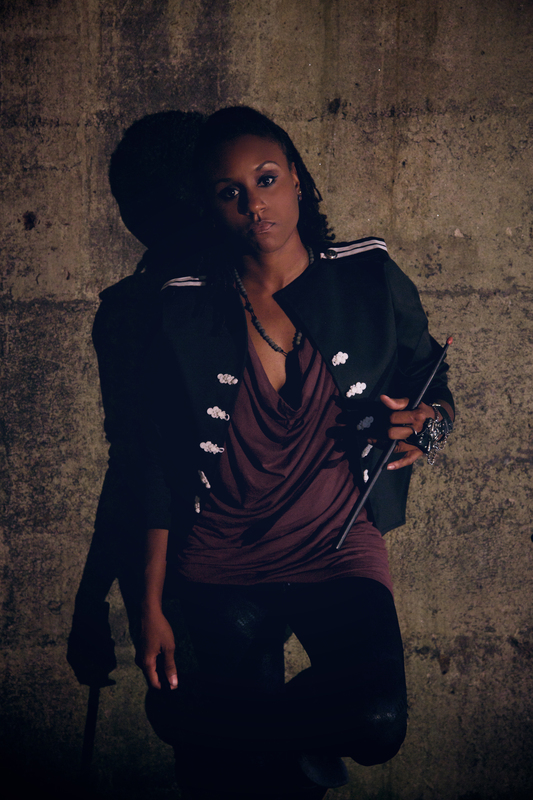 Genre busting producer Natassja Hammond aka The Wizard. Acclaimed reggae and soul crooner Beres Hammond’s daughter Nastassja Hammond has started to make a name for herself as The Wizard in music industry. One of her earlier productions was A Moment in Time taken from her father’s album of the same name. Since then she has worked with both reggae and pop artists, including Nelly Furtado, Kreesha Turner and her falsetto singing cousin Courtney John. The latter has also lent his name to the genre busting outfit The Courtney John Project, a trio including Courtney John himself along with The Wizard and Stephen “Lenky” Marsden. Together they have invented a new genre called rootstronic. I got a chat got a chat with this shy and up-coming producer about growing up in a famous family and her cousin’s new venture. Check the full story over at United Reggae. Beres Hammond is one of Jamaica’s most beloved artists with his patented soulful singing about longing, leaving and loving as well as the occasional cultural-themed track. He has been putting out sweet music for almost four decades, mostly as a solo vocalist, but also as lead singer in Zap Pow, and today this band is probably best known through Alborosie’s and Collie Buddz’ samples of their hard-hitting 70’s scorcher Last War. Under his own name he has put out anguished love songs and smash hits like What One Dance Can Do, Tempted to Touch and the U Roy combination Putting Up Resistance and he has also worked with a host of Jamaica’s most prominent producers, including Donovan Germain and the late Phillip “Fattis” Burrell. Over the years he has not been as productive as many other Jamaican artists, but has nonetheless proved to be equally at ease with every reggae genre, though usually leaning towards the soulful and melodious. His latest and mostly self-produced full-length set One Love, One Life follows his 2008-released album A Moment in Time and collects 20 tracks on two separate discs, of which one focuses on classic lovers rock, while the second disc contains more socially-conscious cuts. Beres Hammond has one of those instantly recognizable voices – it’s torn, rugged and smoky-sweet. And it gives the elegantly arranged and well-produced material an optimistically melancholic feel. The album is loaded with infectious melodies and blends smooth 80’s rub a dub with contemporary roots and R&B ballads, but also adding two tracks with a ska beat, and according to a recent interview it’s the first time he sings on a ska riddim. 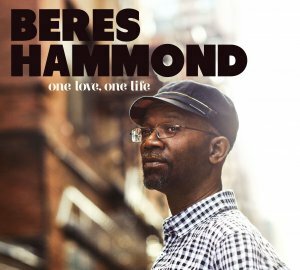 In 2001 Beres Hammond was nominated for a Grammy for his Music is Life album, and if there’s any justice in this world he’ll receive a nomination and maybe also an award for this compelling and cohesive set of romance and culture. Combinations, combinations and yet another set of combinations. That summarizes the latest Marcia Griffiths album Marcia Griffiths and Friends. This double disc collects 38 (!) unreleased and already put out duets with a veritable who’s who in vintage and contemporary reggae. It’s a mix of original material, relicks of classic riddims and covers of familiar pop songs. The list of soulful vocal partners goes on and on, while the more rugged voices are too few and far between, even though the incarcerated Buju Banton shows up on five tracks, including standouts Childish Games and Closer. And it’s usually the tracks where Marcia Griffiths shares vocal duties with a singer with a different style and approach than her own that shines the most, for example Round and Round with Queen Ifrica, Riddim Affi Roll with Lady G or Ready to Go with Tony Rebel. The slick and polished production is strongly influenced by pop, rock and R&B and is handled by Donovan Germain, a producer with a list of merits going back to the 70’s and tough roots albums by Cultural Roots and Mighty Diamonds. 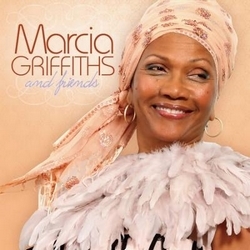 Marcia Griffiths and Friends is an adult and radio-friendly album that showcases Marcia Griffiths’ solid voice and her strong reputation in the reggae industry.